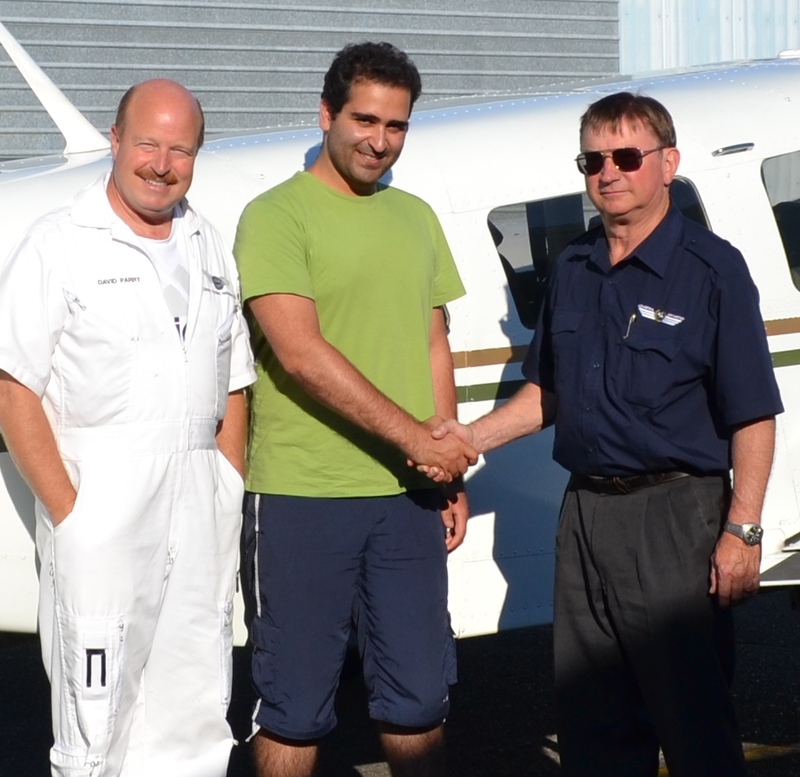 Ehsan Esfahanian receives congratulations from Pilot Examiner John Laing and Flight Instructor David Parry after the xuccessful completion of Ehsan's qualifying Flight Test for his Multi-engine Class Rating on July 29, 2012. 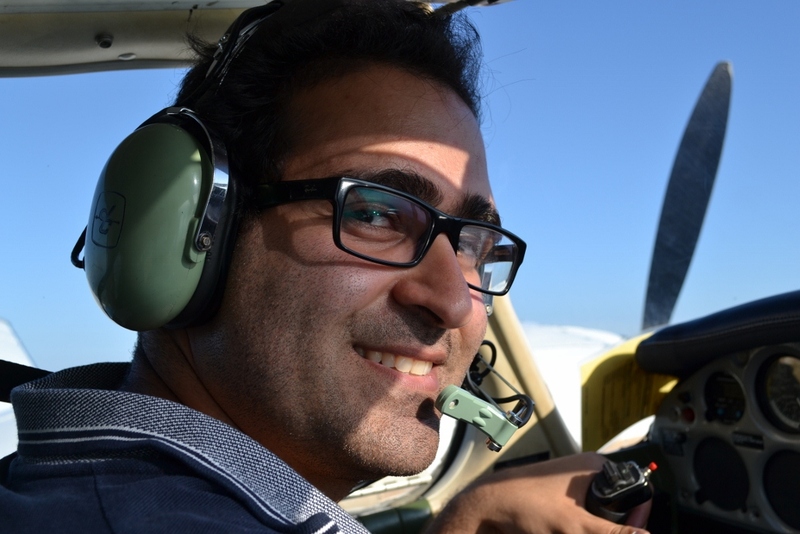 Ehsan Esfahanian at the control of Seneca GURW during engine shutdown and restart training leading up to the completion of his training. The feathered propeller of the Number 1 engine, shutdown by Ehsan, can be seen in the background (right). 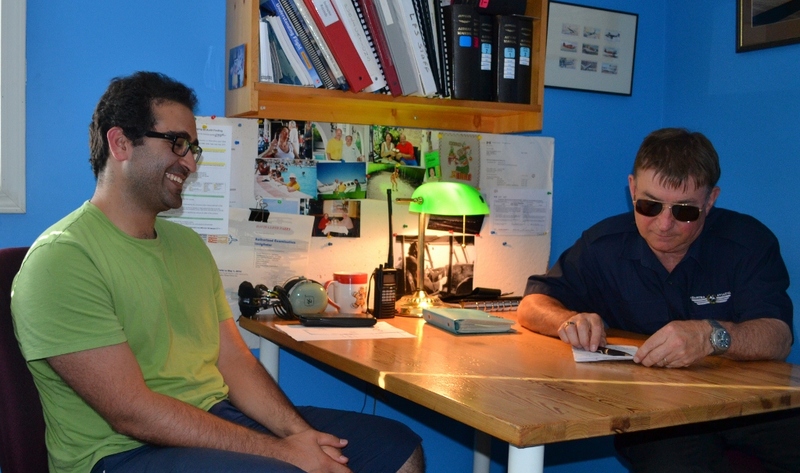 Ehsan and John in the post-Flight Test De-briefing.